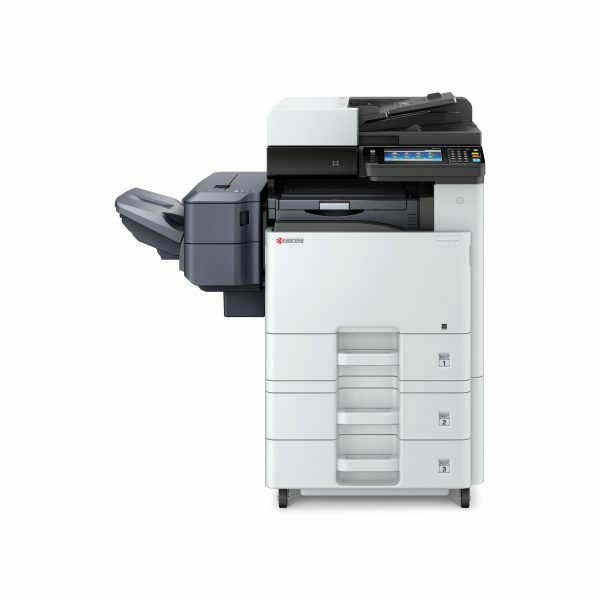 Exceptional business color and superior functionality with a low total cost of ownership. That’s the Kyocera ECOSYS M8130cidn from RYAN. Designed with Kyocera’s advanced award-winning ECOSYS technology, it prints up to 30 pages per minute with flexible paper sizes up to 11″ x 17″. Out-of-the-box performance can be further enhanced by optional finishing and advanced business applications, enabling the device to scale to your unique needs. Satisfying your most critical document imaging demands while streamlining daily business processes in a surprisingly compact footprint, it’s the smart choice for eco-friendly, cost-conscious offices!